The people behind minimalist deli/restaurant Ottolenghi have just announced plans to open a new restaurant on Warwick Street in Soho which breaks free from their existing format of a restaurant and deli. Hot Dinners always looks out for Olive magazine's annual Alternative Restaurant Awards for a fresh look at the restaurants worth celebrating in any year. This year's list features no fewer than 24 London winners - most of which we'd agree with, particularly the Boulud burger and Wild Honey's ice-cream. 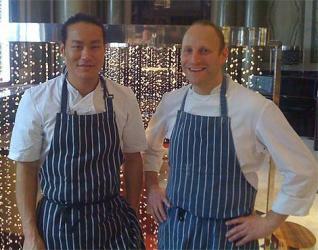 Eight London gastropubs have entered the 2011 edition of Michelin’s Eating Out in Pubs guide for the first time. Islington drinkers fare particularly well with three of their locals making the grade - The Compass, The Fellow and The Green. They're joined by Chelsea's The Cadogan Arms, the Canton Arms and Lord Palmerston in Lambeth, The Larrick in Marylebone and The Orange in Victoria. Ever since the launch Head Chef Daniel Cox left Roux at Parliment Square just two months after it opened, we've been wondering who'll take over Michel Roux's Westminster restaurant. Residents of Kentish Town rejoice! 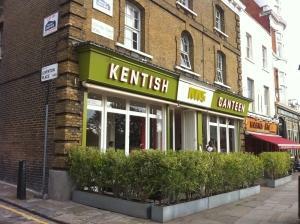 The opening of new restaurant Kentish Canteen on the Kentish Town Road looks set to kickstart eating out in this area. 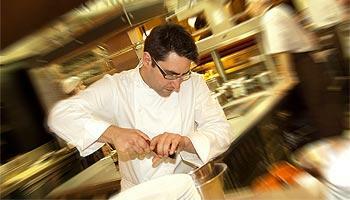 One of the key events that has got us excited about the 2010 London Restaurant Festival is the Street Kitchen. This is a project being run by Jun Tanaka and Mark Jankel - a gourmet food truck which will be touring Central London between the 8th and 12th October. 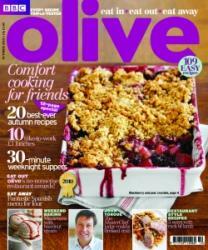 Simply reading about Britain’s biggest restaurant, Cosmo has made Hot Dinners come over all weary. According to an article in today’s Independent, the eaterie, which opens in November in Croydon’s Valley Leisure Park, will take up 22,000 square feet, serve no fewer than 800 covers and employ around 40-50 chefs. Demand for the Gourmet Odyssey Tours at this year's London Restaurant Festival has apparently been so high that the organisers have been inspired to add two entirely new tours to the roster. The revamped Camden Roundhouse will soon have a restaurant to match its updated surroundings. 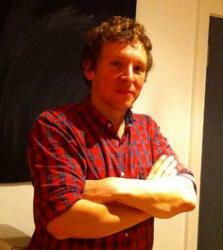 Made In Camden, a new bar and dining room will open in October 2010. The 20th edition of Harden's Guide is published today and from 85,000 reports they've come up with a list of the good, the bad and the overpriced in London. Best for Romance: La Poule au Pot (for the 16th year). Best Bar/pub: Anchor & Hope. A whole host of top chefs were to be found in the City this morning as Action against Hunger held its charity breakfast at Le Coq D’Argent to launch its Fight Hunger/Eat Out campaign. Hot Dinners spotted Giorgio Locatelli, Marcus Wareing and Oliver Rowe among the chefs giving their support to this good cause. Proud Camden has just announced it's launching a New York-inspired restaurant in the bar/live music space's South Gallery in Camden Market this November. 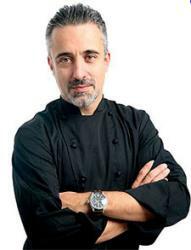 He's described by Wikipedia as a disciple of Ferran Adria. Now Sergi Arola, the El-Bulli trained chef, and owner of two Michelin stars in his own right for his restaurant Gastro in Madrid, has quietly opened a wine restaurant in London.